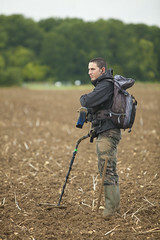 ← Metal detecting, whatever will you find next? 10th of April may appear to be a day just like any other, but in fact it has marked some fairly momentous events, births and deaths over the years. Of which, we’ve noted a few below for posterity. If you think we’ve missed any out then let us know in the comments! 1741 – King Frederik of Prussia defeated the Austrian field army at the Battle of Mollwitz, during the War of the Austrian Succession. 1912 – M.S. Titanic set sail from Southampton, embarking on her maiden and only voyage. 1925 – The Great Gatsby by F. Scott Fitzgerald, was first published in New York City by Charles Scribner’s Sons. 1970 – Paul McCartney announced his departure from The Beatles, stating personal and professional reasons. 1972 – American B-52 bombers reportedly began bombing North Vietnam for the first time since November 1967. 1973 – 104 people were killed when a British Vickers Vanguard turboprop aircraft crashed in a snowstorm in Basel, Switzerland. 1988 – The Ojhri Camp disaster occurred, killing more than 1,300 people in Rawalpindi and Islamabad. 1998 – The Northern Ireland peace deal was reached, known as the Good Friday Agreement.